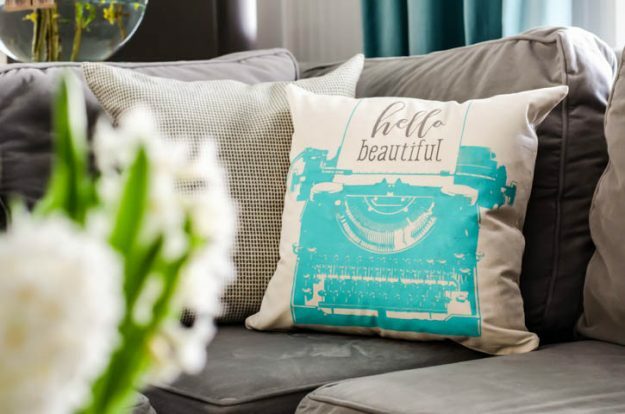 How to make a pillow cover with a Chalk Couture Typewriter Transfer – a quick and easy way to make your own pillow covers in minutes. The other day I spotted a meme on Instagram that said “Throw pillows are the stuffed animals of grown women.” And I completely agree! I love me a good throw pillow – but they can get pretty pricey rather quickly. Of course you can pick them up all over the place for under $20, I have a soft spot in my heart for custom pillows that reflect the personality of whoever made them. 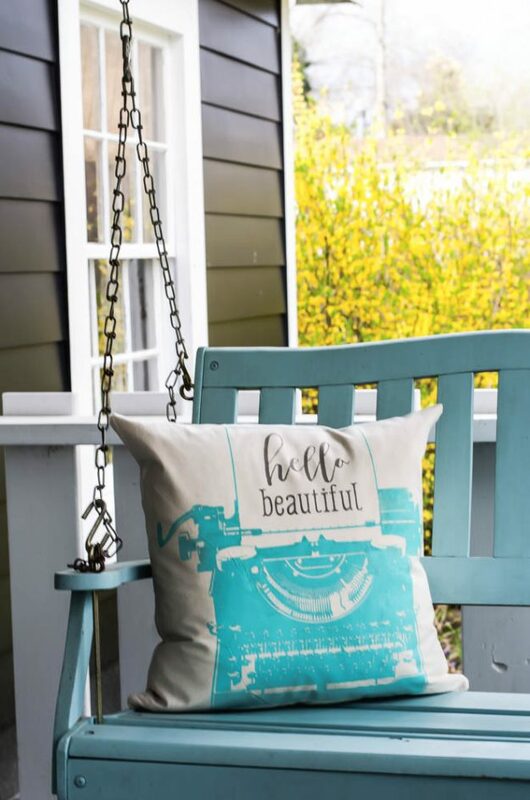 So that’s how I ended up making this cute pillow with my Chalk Couture Typewriter Transfer. It’s so fast to make that I actually made it on Facebook Live recently. While the Chalk Couture Typewriter Transfer is gorgeous – it doesn’t exactly fit on the pillow *just* right, so I did have to tweak it just a tiny bit for this project. (Which is actually a good little trick to know if you need to alter those transfers a bit. 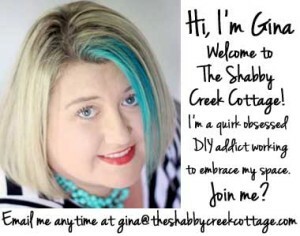 Gina, I love the typewriter pillow. I watched you make it way back when. Any chance you have a transfer available? ?